Head to the referral page and open a new account – you can use your existing Twitter, Facebook or Google account to make this easier. Once you’ve signed up, you’ll find your unique referral code – as well as tools for sharing via social media and email. Share your code with interested friends and family. Ensure they sign up using your unique code or link to unlock the 15% discount. Get hold of your friend’s unique referral link or code – an easy way for them to share them is via social media. 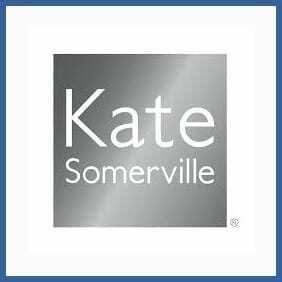 Use this link (or enter the code when prompted to) and open a new account at Kate Somerville. Kate Sommerville is a Hollywood beautician with a range of skincare products that are highly rated across the world. From anti-ageing products to blemish control, every item is shipped free to the UK and comes with 3 product samples. Whether you’re an existing customer or not, sign up and share your unique referral code to grant you and a friend a 15% discount each time you refer a new customer.